Help Center » Bring Your Own Phone » Where can I find the IMEI/MEID/ESN number on my Android phone? Where can I find the IMEI/MEID/ESN number on my Android phone? There are different ways to find the IMEI/MEID/ESN number on your Android Phone. Scroll down and locate the IMEI/MEID/ESN number. Dial *#06# to have your IMEI/MEID/ESN show up on your screen. 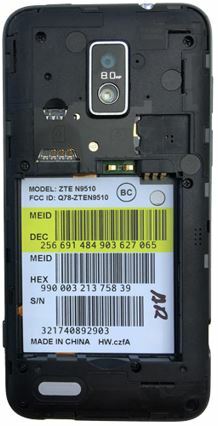 Remove the back cover and the battery to view the IMEI/MEID/ESN number.